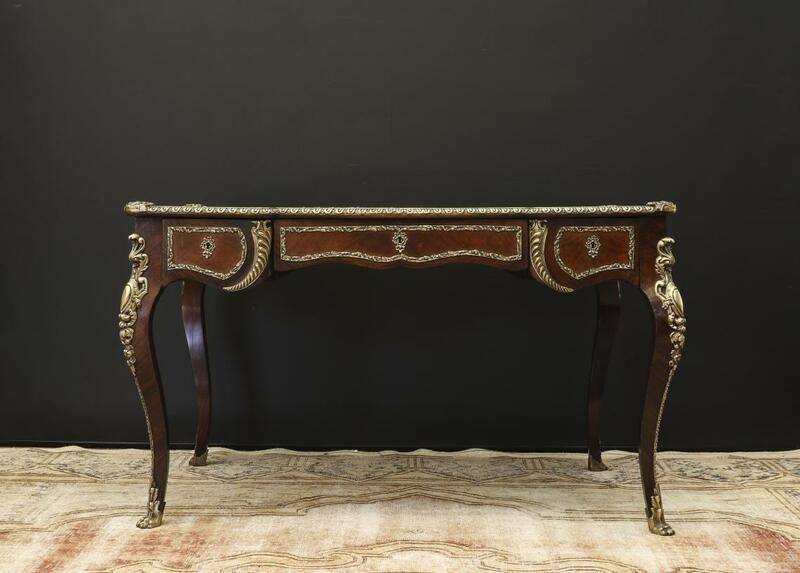 This is one of the best quality Louis XV bureau plats that we have imported from France in years. 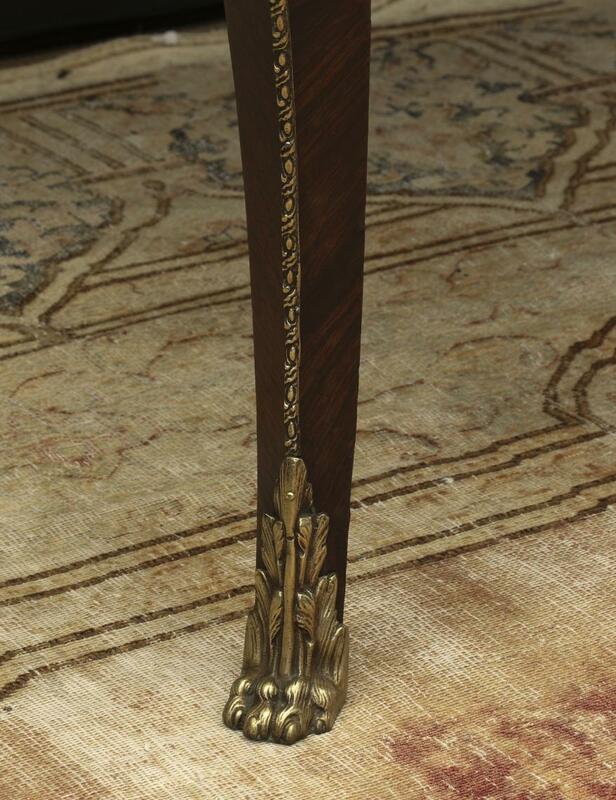 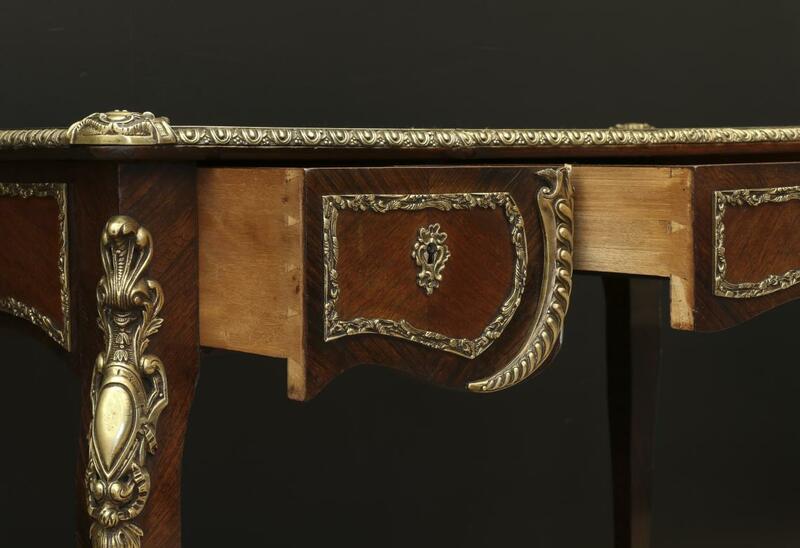 Made from kingwood, walnut and rosewood, the desk is very attractive. 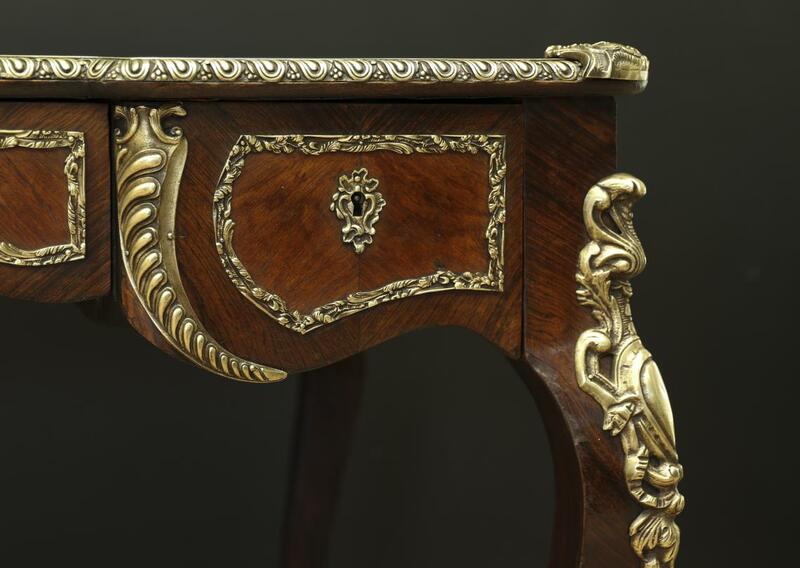 Its brass ormolu castings are of the finest quality. 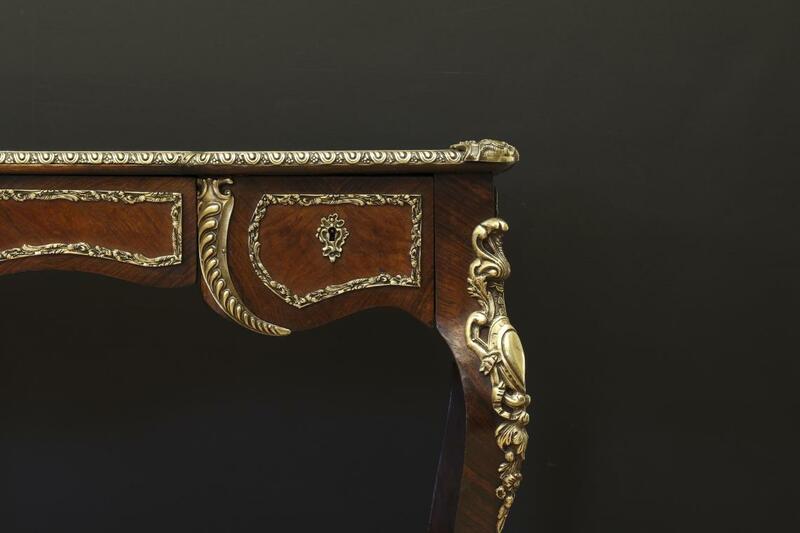 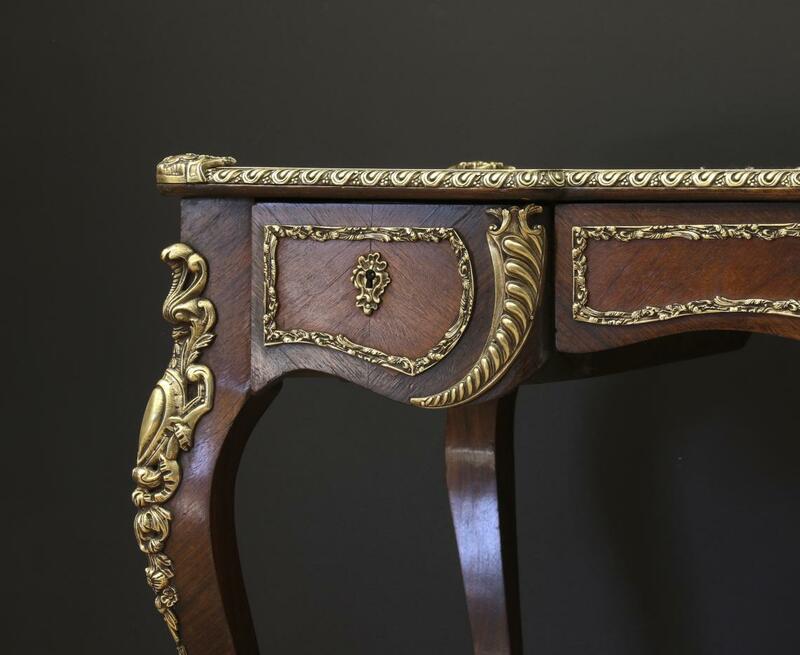 The desk has one shaped and central narrow drawer flanked by two shaped side drawers, its legs are classical Louis XV. 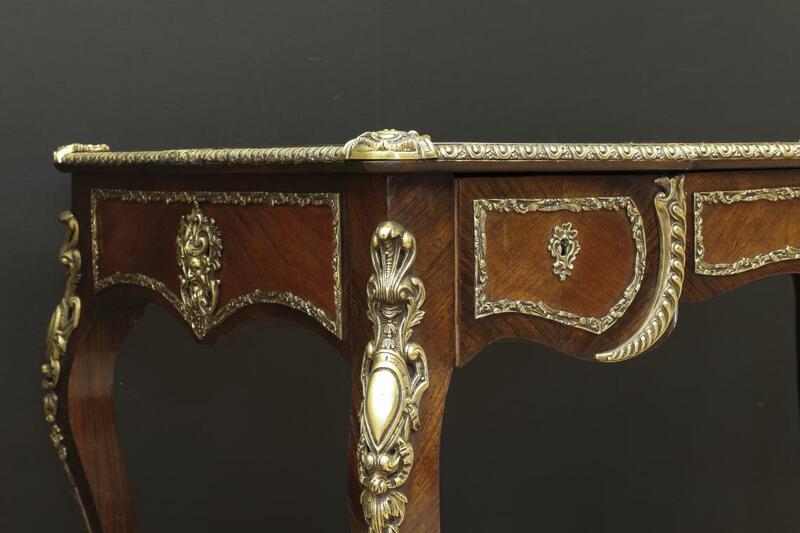 If you are interested in this piece or would like more details please call us on +64 9 529 1660 or email info@js.co.nz quoting #110-53.